The boy on the mound is Vano Lucas, and he may be the greatest pitcher the world has ever seen. He can throw a fastball 115 miles per hour, and that means wealth, stardom, and a spot in the Hall of Fame. 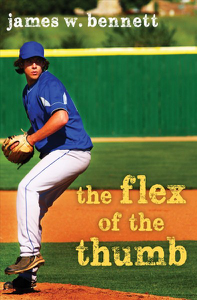 His father wants him to bypass college and go straight to the majors, where a $15 million signing bonus is waiting for him, but Vano has started feeling as though something is nudging him away from the baseball diamond—and everything he has ever known. During a major-league tryout, Vano gets hit in the head by a flying bat. When he opens his eyes, he finds that he has no interest in the game. He feels cosmic vibrations pulling him toward college, where he will step off the pitcher’s mound and onto the astral plane.